Hey West Fargo ND, is Your Home or Office Bugging You? Let Prairie Pest Control Help. 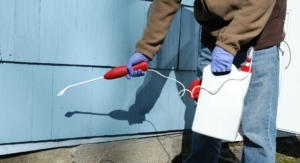 Having a comprehensive exterminator service assures you of a pest-free home, regardless of the season. Prairie Pest Control conducts a thorough assessment of your house and offers solutions, from one-time to seasonal programs. For your commercial setup, whether it’s a restaurant, hotel, school or church, you get worry-free monthly, bi-monthly, or quarterly programs to choose from to keep your building pest-free for the long term. Prairie Pest Control has been protecting homes and businesses near West Fargo ND and the Minnesota lakes area from pests for over 10 years. Your home or business get prime pest control treatment to keep the bedbugs from biting, bees from buzzing into your surroundings, and creepy crawly ants and spiders from invading your space. We provide highly professional, expert service and have a proven track record of eliminating Midwest critters from homes, businesses, cabins, and more. If you’re searching for pest control services, Prairie Pest Control should be at the top your list. Prairie Pest Control offers interior and exterior pest control to ensure you are safe from various pests. These pest control services can tackle any infestation or prevent one from happening before it starts. Call us today. We eliminate the pest problem. You have peace of mind. We’re always on call. So, you’ll get answers every time you call for our extermination experts. Service is fast and friendly from the moment you introduce yourself and explain the problem. Staff is on call and ready to visit your residential or commercial space at your earliest convenience. We will answer all questions and give a thorough inspection before getting to work. 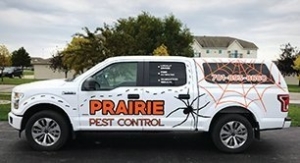 Prairie Pest Control has helped us treat several of our businesses. We love their fast and friendly customer service. They are very knowledgeable with what they do and take time to answer our questions. We use them in Fargo and also near the MN lakes area. Excellent pest control service. They are extremely knowledgeable and trustworthy. I completely trust them and would recommend them highly to everyone. I live in an apartment building who was not helping me get rid of my bug problem. Fed up, I sought out a company on my own. Nick answered after hours and helped me walk through the steps to prep, what to expect and generally made me feel better about the whole situation. This is a company who cares. When it comes to a person’s home we should be able to give more than 5 stars if a company can keep that safe. In this case they deserve it. I called a few places, but Nick was the first one to answer and was super friendly! He scheduled us right away and even answered the phone after hours to respond to my questions and help me prep the house for his visit. Nick was kind, friendly, quick and efficient. Guaranteed my satisfaction and promised he would come back as many times as needed. It only took one visit (maybe 30 minutes), and miraculously every single fruit fly was gone!